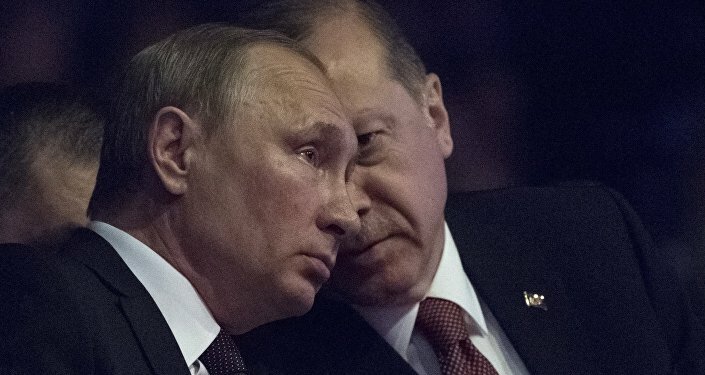 Russian Deputy Foreign Minister Gennady Gatilov stated Thursday that the data exchange channel on Syria between Moscow and Ankara "exists and works, and is quite useful." MOSCOW (Sputnik) — Moscow considers the Russian-Turkish information exchange channel on the implementation of a ceasefire regime in Syria to be useful, Gatilov said in an interview with Sputnik. "In particular, there are contacts on the issue between our and Turkish representatives, opinion exchange on ceasefire regime violations in Syria. This channel exists and works, and is quite useful," Gatilov said. Gatilov mentioned that the monitoring process of the ceasefire in the war-torn country had been underway between Russian and US servicemen but was terminated "due to objective reasons." The issue, according to the deputy foreign minster, is now being discussed within a trilateral format between Russia, Turkey and Iran. Russia, Turkey and Iran acted as guarantors in establishing the latest Syrian ceasefire, which came into effect in late December 2016. The establishment of the truce between the government and opposition groups was followed by intra-Syrian peace talks in Kazakhstan's capital of Astana on January 23-24 where the participants agreed to set up a ceasefire monitoring group. Syria has been been in a state of civil war since 2011 with government forces fighting against Syrian opposition groups aiming to overthrow President Bashar Assad, and numerous extremist and terrorist groups such as Daesh, outlawed in Russia.